Well over one-quarter of all white students in Denver Public Schools are classified as gifted and talented, more than twice the percentage of gifted and talented Hispanic students and three times the percentage of black students who carry that label. District officials acknowledge that the numbers are inappropriately and “highly skewed” in favor of white students, reflecting testing and cultural biases. In DPS until this year, students were considered gifted if they scored in the 90th percentile on nationally normed ability assessments. Students are considered highly gifted if they hit the 97th or 98thpercentile. And highly gifted classification is even more disproportionately white than the broader gifted and talented category. Last year, 10.9 percent of white students were classified as highly gifted, while just 0.9 percent of Hispanic students and 1.1 percent of black students gained that status. The over-classification of white students as highly gifted can contribute to segregation inside classrooms of seemingly integrated schools, because students classified as highly gifted are often placed in special highly gifted-only classes. Denver has the highest percentage of students of all races classified as gifted and talented among the 20 largest school districts in the state. Colorado Department of Education regulations revised earlier this year mandate that a student must score in the 95th percentile on state achievement tests or aptitude tests in all districts and charter schools to be classified as gifted and talented. For many years, DPS has set the bar at the 90th percentile. Even with that lower bar, DPS had among the biggest disparities in the state between the percentage of white students with gifted status and students of color with that designation. This year, DPS must comply with the 95th percentile requirement. The state wants students with gifted and talented status to move from one district to another without having to retest. This so-called “portability” requirement is why DPS must come in line with the rest of the state. New state regulations as well as DPS directives are attempting to level the playing field and identify more children of color as gifted. But, everyone involved acknowledges, there is a long way to go before gifted and talented identification becomes equitable. The pipeline that begins at age five is the district’s longstanding Advanced Kindergarten program. While Advanced Kindergarten is not a gifted and talented program, it is where sorting of various kinds can begin. Students are tested at the parents' initiative, giving an instant advantage to families who understand the system and how to use it. Preschooler who demonstrate a mastery of kindergarten-level work while still in preschool qualify for Advanced Kindergarten. Advanced Kindergarten numbers are least as skewed as the gifted and talented statistics. Last fall, 437 Denver preschoolers were tested for Advanced Kindergarten. Just under 75 percent of them were white, 9 percent were Hispanic and 4 percent black. But of those who qualified for Advanced Kindergarten, 79 percent were white, 6 percent Hispanic and 3 percent black. Further exacerbating the disparities, students who qualify for Advanced Kindergarten at DPS’ most popular highly gifted and talented magnet program, Polaris at Ebert, automatically gain a seat at Polaris through fifth grade. This means that some students who are not highly gifted get into the highly gifted magnet school, and these students are disproportionately white. And there’s yet another factor that skews the numbers even more at Polaris. Siblings of Polaris students get admission preference into the popular program, regardless of whether they test as highly gifted. Non-highly gifted students aren’t necessarily served well by attending a school like Polaris, Drake said. “It’s not always the best choice for a kid who starts in Advanced Kindergarten (if they’re not identified as highly gifted),” he said. “We want all kids to get the best programming to meet their needs, and that’s not necessarily where we are today." The Advanced Kindergarten pipeline combined with the sibling preference has resulted in a staggering socioeconomic and racial imbalance at Polaris. Just 3 percent of Polaris’ students qualify for free and reduced lunch, a standard measure for poverty. And just 8 percent of the students are black or Hispanic, while 81 percent are white. For comparison’s sake, the district-wide free and reduced lunch rate is just under 70 percent. The district student population is 22 percent white, 14 percent black, and 57 percent Hispanic. DPS also offers Advanced Kindergarten classrooms in seven other elementary schools scattered across the city. Overall, five of the Advanced Kindergarten schools have significantly lower levels of low-income students than the district as a whole, while three have poverty levels higher than the district’s overall rate. In 2001, the program’s second year of operation, the student body was 51 percent white, 29 percent black and 12 percent Hispanic. Students described as “high-achieving” gained admission as well as those who tested as highly gifted. Teacher recommendations, observations and other non-test-based criteria were used to admit students. Over time, however, DPS changed the criteria for admission, and the sibling preference and Advanced Kindergarten pipelines overwhelmed the diversity efforts. Polaris’ diversity also fell victim to the rapid growth of the Stapleton neighborhood. Polaris was made the highly gifted magnet program for the city’s northeast quadrant, and as Stapleton’s mostly white, affluent population grew, so did demand from Stapleton parents for the Polaris program. “Stapleton was conceived as a diverse community but the housing prices were too high for that to become a reality,” Howard said. In most cases, at least until this year, testing for highly gifted programs in Denver was initiated by parents. This meant that only parents savvy enough to know about the program, and with the wherewithal to transport their children to a testing center, had their kids tested. Last year, DPS started proactively testing students for gifted and highly gifted status across the district. During the 2014-15 school year, district staff conducted a ‘universal sweep’ for gifted students in grades 2 through 4, employing a non-verbal test that is supposed to mitigate linguistic and cultural biases, said Rebecca McKinney, director of DPS’ gifted and talented department. This year, they will conduct another sweep, this time of students in kindergarten and second and sixth grades. “We hope to find some kiddos who might have slipped through the cracks before, especially among underserved populations like African American boys and second language learners,” she said. DPS is also creating what McKinney called a “talent pool” that will identify the top 10 percent of students “relative to their peers.” Those students will receive special, gifted and talented-like services. So, for example, the top 10 percent of Hispanic girls, black boys, and second language learners will be placed in the talent pool. Teachers will use a variety of measures to identify gifted and talented students, as well as those eligible for the talent pool, McKinney. That can include “portfolios, interviews; there a myriad of ways to go,” she said. Drake also said that DPS will need to tackle the disparities in Advanced Kindergarten, beginning with the application process. But he said the district wants to figure out how to deal with the program as a whole, rather than making piecemeal changes. Eliminating the biases that make gifted and talented programs skewed toward the white and affluent is something everyone wants but no one, here or elsewhere, has figured out completely, Drake said. “If someone had the answers, we’d be happy to copy and paste,” he said. “It’s definitely a journey." This is part of Rocky Mountain PBS’ ongoing project coverage, Race in Colorado. 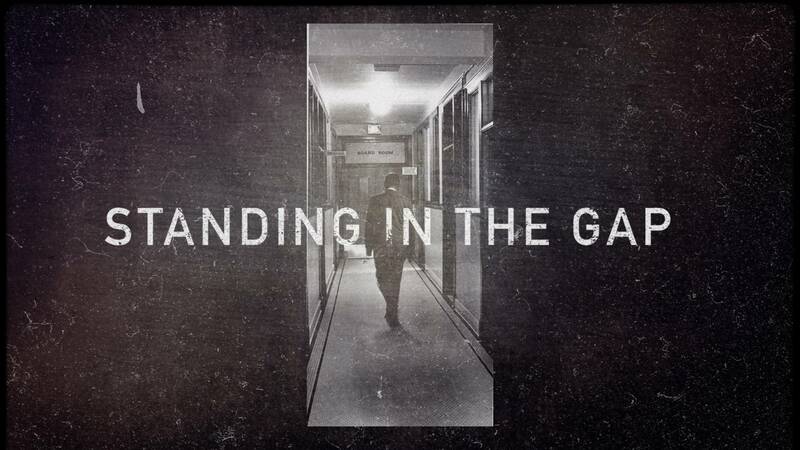 Standing in the Gap examines race in public education in the state. To learn more, visit rmpbs.org/thegap and watch the four-part documentary series on Rocky Mountain PBS at 9 p.m. Nov. 12 and 19.